Wednesday 26th October 2016, 09.00-10.00, Jubilee Room (off Westminster Hall), Houses of Parliament. How to end poverty? 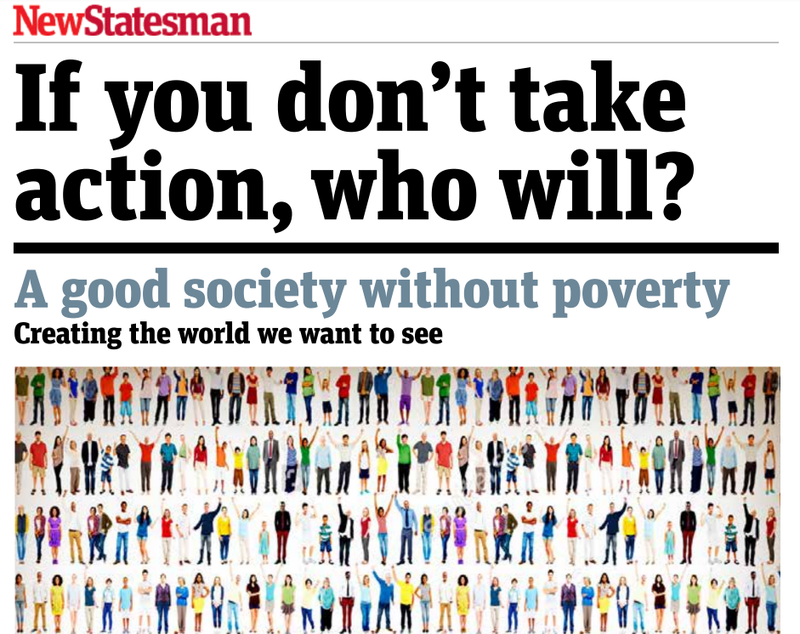 This has been a central question for social reformers since Beatrice Webb’s 1909 Minority Report on the Poor Law challenged society to end destitution. However, top-down technocratic responses to poverty have proved inadequate and are ill-suited to contemporary Britain. The key question to ask, therefore, is not how, but “who?” Answers to this question imply responsibility, agency, and power. Who is responsible for creating a good society without poverty? Join us for an informal launch of the fifth and final New Statesman supplement from the Webb Memorial Trust. Part of a series of work from the Trust that explores what a good society means and how it might be achieved, the supplement contains articles by Webb grantees each of whom had been tasked with thinking creatively about the different actors that have a role in reducing poverty. We will hear from several of the contributors to the supplement and there will be an opportunity to ask questions and discuss the ideas they put forward. Andrew Curtis, UK Senior Programme Manager, Oxfam GB – By failing to build an effective narrative have charities contributed to the very issues they are trying to solve? Hosted by the All Party Parliamentary Group on Poverty which is supported by the Webb Memorial Trust. This is an independently organised event and is not affiliated with the New Statesman. Please arrive at the Houses of Parliament by 08.45 in order to clear security. You may be asked for ID. Information about visiting Parliament can be found here.